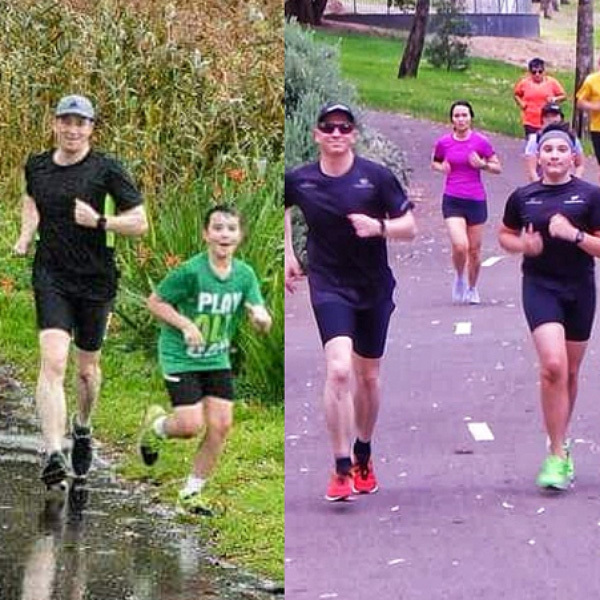 Aaron Mitchell and his son, Thomas, have been a father and son parkrun duo since 2015. 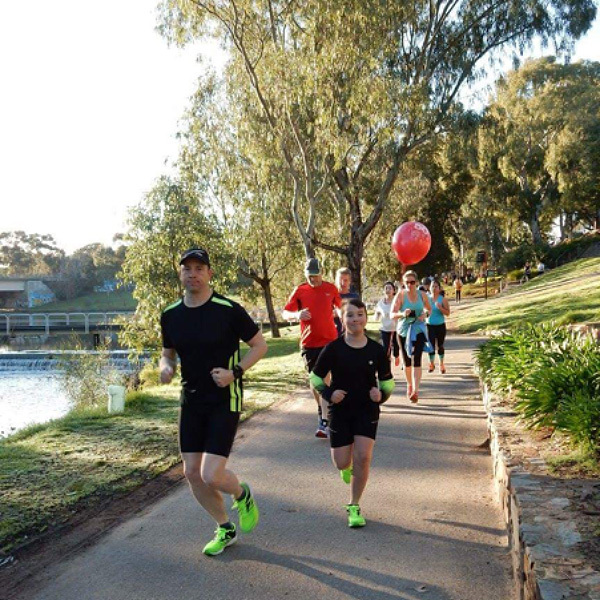 The pair hail from Adelaide and their local parkrun is Torrens with its beautiful green riverside course. 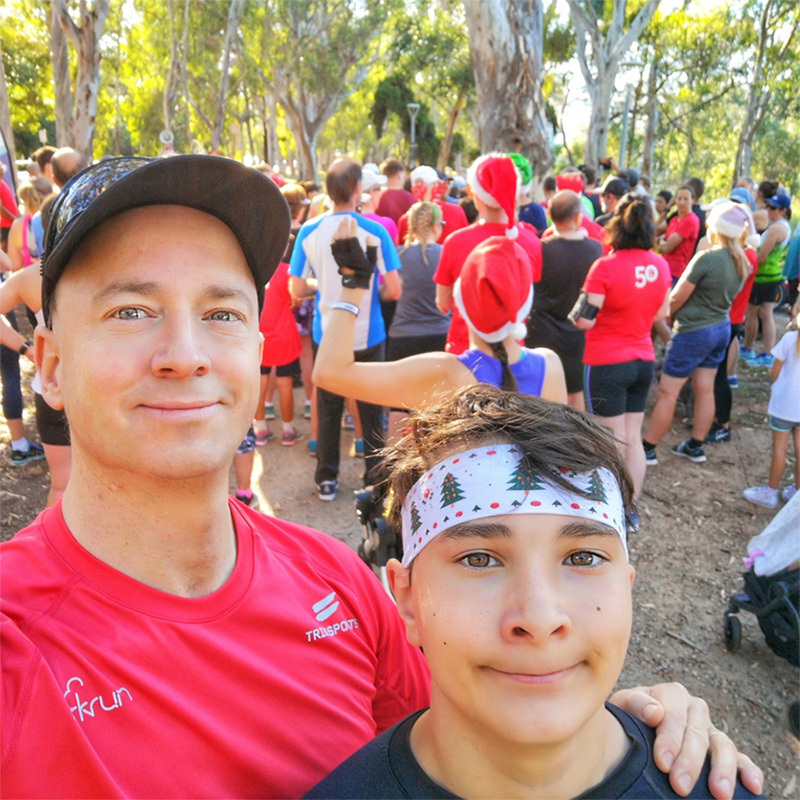 Aaron says they were immediately welcomed into the Torrens parkrun family and Thomas loved the encouragement in the form of high fives and cheers. 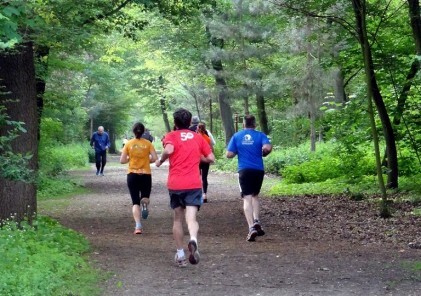 From the beginning, they were hooked into the parkrun community. Aaron began running shortly after his 40th birthday as a means to keep fit, healthy and “in the hope that it would help stave off the looming dad-bod!” Aaron’s determination to be in the best shape as he could meant a quick introduction to running events and parkrun. An injury meant he had to slow down a bit and so he recruited his son Thomas to help him out. 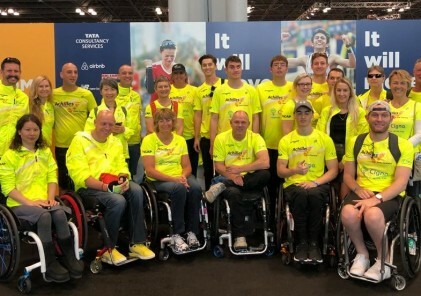 Thomas was also looking for a means to keep fit to help him in other sporting pursuits, so Thomas became Aaron’s unofficial recovery coach. Off to parkrun they both went under this new arrangement and so became the father and son parkrun duo. 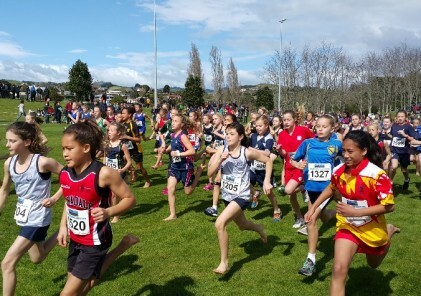 Aaron, Rosemary and Thomas also like to participate in a bit of parkrun tourism. 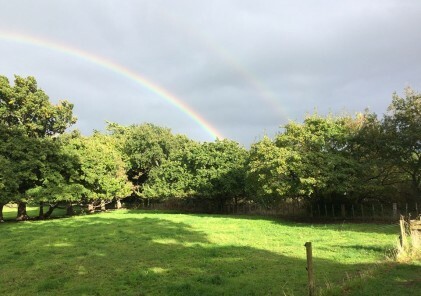 Together they have visited West Beach (they love to see the horses gallop alongside the river portion of the path), Lochiel, Mawson Lakes, Victor Harbor and Pakapakanthi. 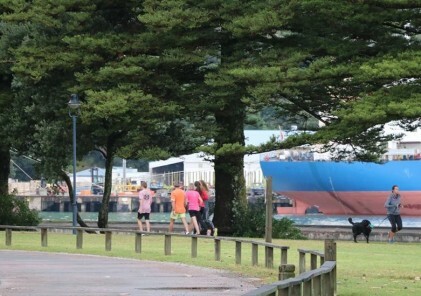 And Thomas has even done a bit of solo parkrun tourism whilst staying with his Grandparents and did Christies Beach parkrun. 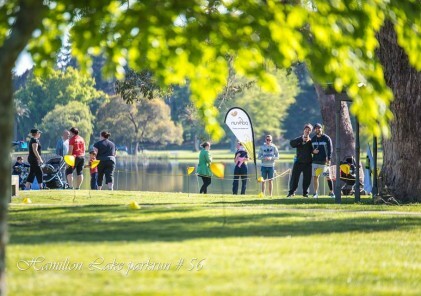 They have also gone further afield and done Albert Park and Parkville in Melbourne.